At Complete Aquatics we have a variety of Fluval aquariums and Fluval aquarium equipment, with discounts available on selected items. If you are looking to set up your very own marine fish tank for the first time, Fluval Edge are a great brand to go with. 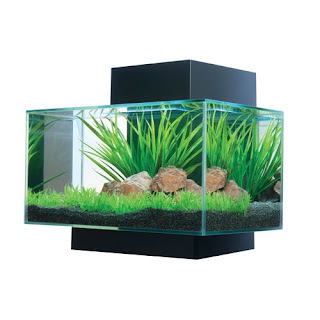 One of the most popular brands, Fluval Edge make quality tanks for your home aquarium. Currently save up to 29% on Fluval Edge 23l and 46l tanks and accessorize your tanks with all the equipment and decoration you need from Complete Aquatics. There are loads of great ideas on how to accessorize your Fluval tank, just check out our Pinterest for a few "beautiful aquarium" ideas. Video bloggers on Youtube often post videos of their aquarium designs, so viewers can take inspiration from a range of sources. There are large aquatics communities online, discussing all fish concerns and problems. It's simple to find advice for any issue you may have online. Follow expert advice to get your tank up and running as quickly as possible, and don't forget to take advantage of the wealth of resources online. One of these sites is Practical Fish Keeping, a great site for finding the information you need from fish keeping enthusiasts.